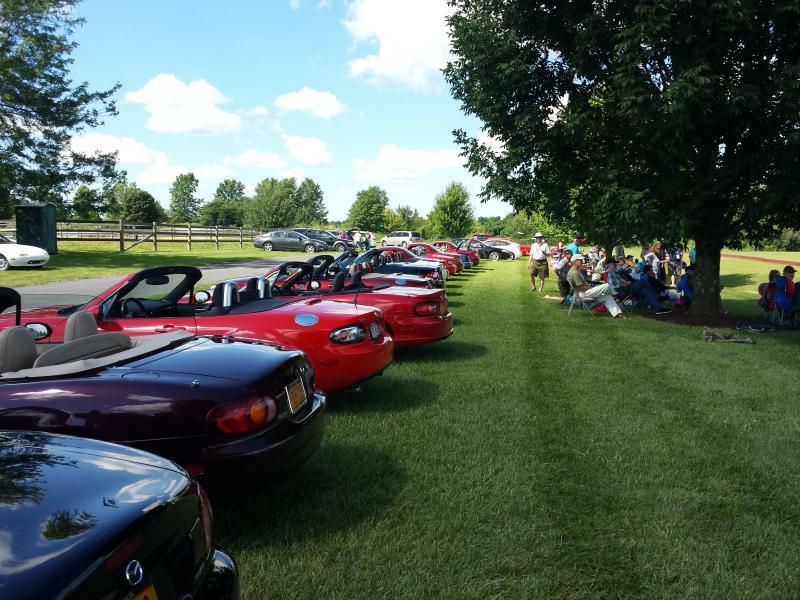 The MidState Miata Club of New York is an organization dedicated to the enjoyment of the Mazda Miata roadster. Our primary objectives are to provide an opportunity for Mazda Miata owners and enthusiasts to exchange ideas and information, as well as to participate in group events involving the Miata. The Club schedules at least one "official" event each month from April through November. These local events are selected from ideas and suggestions presented by the membership during the annual planning meeting that occurs each winter. We schedule events to interesting points in New York State as well as occasionally organize overnight trips to more distant locations. The Club also schedules informal evening gatherings for ice cream every two weeks during the warmer months. There are also frequent impromptu get-togethers among members, if for no other reason than to have someone to share the road with. Join us and look the part! Got something miata related to sell? Want something to look forward to? To help streamline communication for who is attending our events we now require members to contact the Event Coordinator directly AND copy your Area Rep to help them plan for caravans from your area. You only need to respond if you are planning to attend, but if you need to cancel last minute you still need to let both parties know so they don't hold up the ride waiting for you. Please pay close attention to the contact info and deadlines.